HAPPY SPRING! I am so ready for a new season. This last month concluded with my toddler in a full-arm cast (wrist fracture from a spill at the playground), me in an ankle brace (sprained ankle from volleyball), and my husband in a sling (dislocated shoulder while working out)! It’s been a little crazy here, but we are all moving forward and I am SO HAPPY ABOUT THAT. My son is back in the sand and dirt and water… and I am back on the court. Full speed ahead! I wanted to share some material I’ve been working on for a local Mothers of Preschoolers (MOPS) group that I’ve been part of. It’s a wonderful group of moms that meets every other Friday to share life and motherhood and coffee together- there is always coffee. A few weeks ago, they were looking for someone to teach something craftsy to the group for a fun artsy morning they were planning. I’m not particularly crafty, so it wasn’t until some of the ladies at my tables remarked about my calligraphy and lettering that I realized I had something to offer! 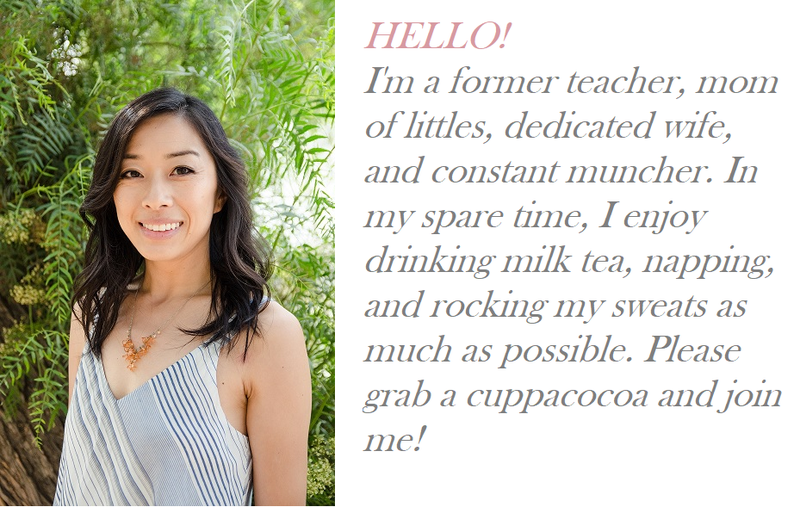 You might remember that a couple years ago, I picked up brush calligraphy as a nice stuckstay-at-home mom hobby. Since I was still nursing, many of my fun activities were limited to things that were nearby, easy to start/stop, and not easily ruined by a curious toddler (who is now FOUR… when did that happen?!?!). That’s when I decided to learn brush lettering, which is a branch of hand lettering and modern calligraphy. I got better at it (I can write in a straight line now!) and even taught a brush lettering workshop for a church fundraiser last year. So when the ladies at my table were so encouraging about my lettering (someone even guessed I was a designer based on my lettering! I was so flattered- art has never been my thing haha), I decided to offer to teach the whole group some brush lettering basics. Since this was a group of “Mothers of Preschoolers,” I thought it would be so cute and appropriate to teach using Crayola markers! They’re such a great tool for learning brush lettering since they are easy to find, relatively inexpensive, and very forgiving for lettering! I figured most of the moms would have a pack handy and it would be a fun and easy thing to practice and doodle with alongside their emerging little artists at home. 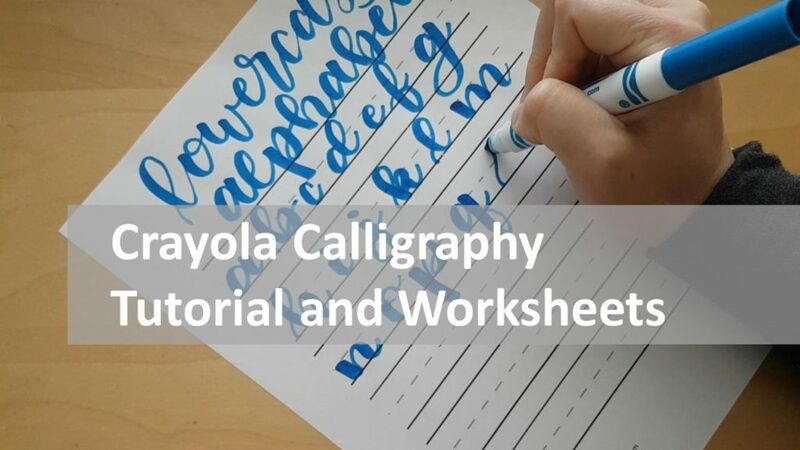 This first video is the starting point for most brush lettering and calligraphy. The basic idea behind calligraphy is to create a contrast between thick lines going down and thin lines going up. When done right, the words come out looking artistic and beautiful. Each letter is made from a series of basic strokes, which you can learn in the first “Drills” video. Now for actual words. Have you ever tried applying the “heavy downstrokes and light upstrokes” method to the cursive that you learned in third grade, and found that it just didn’t look quite the way you’d hoped? That’s because in modern calligraphy, letters are not formed the same way you learned to write cursive in elementary school. There are different ways to form letters that maximize the beauty of a letter and eventually a word. See the letter “b” in the lowercase alphabet video below for a good example. Realizing that there is a completely different way to form individual letters was the turning point for me in figuring out how to make beautiful brush lettering. I stood on the side of the playground chatting away with other parents while our young kids roamed freely about the playground. Church service had just let out and we were enjoying the enclosed play space which allowed us to watch our kids while catching up with each other. I kept an eye on my daughter as she climbed about the play structure in all the “wrong” ways. 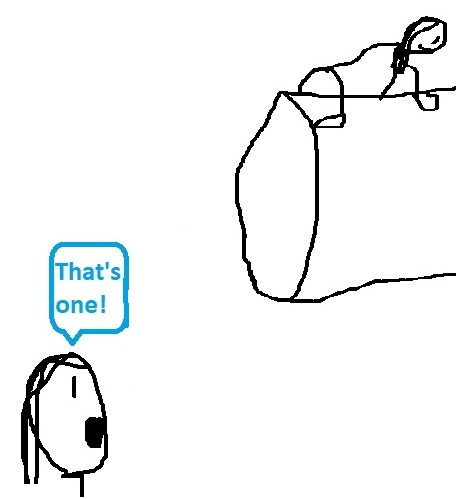 She had recently started imitating the daring moves of an adventurous 5-year old girl at church, which included finding… creative ways to climb about the playground. While I was okay with her pushing the limits a bit, I could tell it made other parents (who mostly had even younger kids) a bit uneasy. 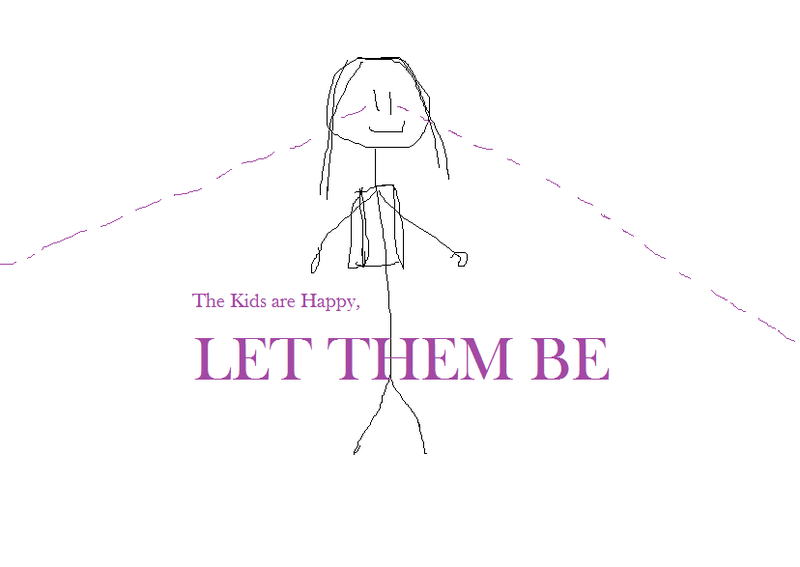 And… maybe it wasn’t the best example for the toddlers who were apt to imitate without having the same strength or command of their limbs. I kept a close eye as she began to proceed over the high tunnel instead of through it like she probably should. “Sweetie, please come down,” I called out to her. She froze for a moment. I imagine she was trying to decide whether to come down or pretend that she didn’t hear me. She started forward again- it appears she chose the latter. “That’s one,” I called out, matter of factly. She scampered down in a flash. I turned to pick up our conversation again but the father looked at me, wide-eyed, “Is that from… 1-2-3 Magic?” he asked, a little wonderingly. And thus began yet another animated conversation about the “1-2-3 Magic” program which we had been using for the last couple of years with great success. I figure it’s about time I shared it with you, too! Yesterday, I had to pay for a lost library item for the first time in my life. I could tell the librarian felt a little bad as I dug out $8.22 for a five dollar kid’s magazine from 2016. They were probably ready to take it out of rotation anyway, but I honestly didn’t mind. We’ve benefited from the library a lot! “Really? How do you ORGANIZE all of your books? ?” she asked, genuinely impressed. I paused to see if she wanted to short or long version. I mean, she was a librarian, and they’re kind of all about reading and sharing and organizing books, right? “Well, we have this big desk or side table kind of thing… it’s super sturdy,” I began. She nodded, still eagerly listening. She DID want to know, she really did! My bookworm heart soared. I looked back to see if there was a line forming behind me. There was. She didn’t care. Her eyes were still with me, intrigued. There was another librarian at the counter, so I didn’t feel as bad as I went in depth about how we organized it, and why we did it that way. The librarian nodded, she seemed familiar with them. To anyone else, this might have sounded like gibberish, but I felt a connection with her as I saw her eyes light up with recognition as I listed off these well-loved early readers. Maybe I should become a librarian. 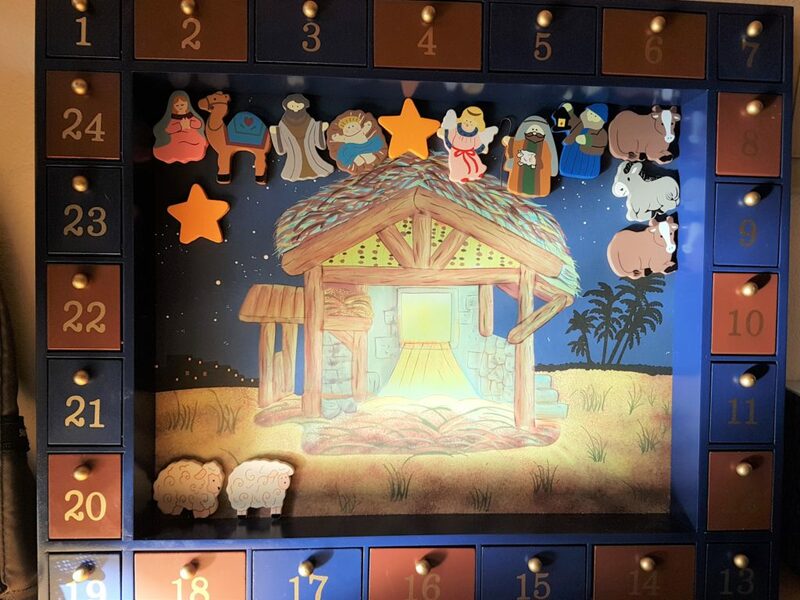 This fun advent calendar (it’s gone down by about $20 since I bought it three years ago!). It’s been two years and my daughter is STILL DELIGHTED to open the door each day! Except she has to take turns now, since she’s got a little brother eager to get in on the fun, too. The kids are so excited about this calendar and discovering the surprise behind the doors that I was rather hesitant to introduce the chocolate advent calendars to them. Surely they would be less impressed with Cow #2 when they knew other calendars had chocolate Christmas trees for eating, right? Nope. They both love it, and they see it as a daily treat to open doors and play with it together. My daughter has been into wings and fairies lately, so I wonder if that influenced today’s modified nativity scene (above). Either way, this calendar continues to be a Christmas tradition winner! His eyebrows were concentrated, and I felt for his little four-year old heart. It was very generous of him to let her take it, and I was very impressed that he was okay with it. All the way home, I talked about how kind and generous it was for him to lend it to her, and posed various questions to help her appreciate the situation more. How did it make you feel when he said you could take it home? How do you think he felt when his mom asked him to lend it to you? How did you think he felt when you walked out the door with it? Do you think this toy is very special to him? Even if it’s not, it’s probably hard to let someone else walk away with something that belongs to you. How should you treat the airplane? 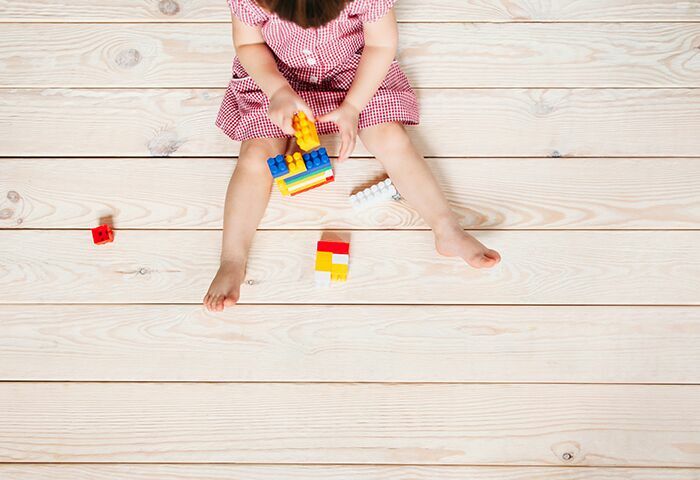 What do you think about lending other kids your toys? It’s not Valentine’s Day. We’re almost half a year away from our anniversary, and birthdays have passed. But it’s ALWAYS a good time to send little love notes to the special people in my life! I actually think about sending notes of encouragement to others pretty frequently, but I usually think of it when I’m in the middle of doing something else like driving or showering. By the time I get to my desk, I’ve forgotten all about it. 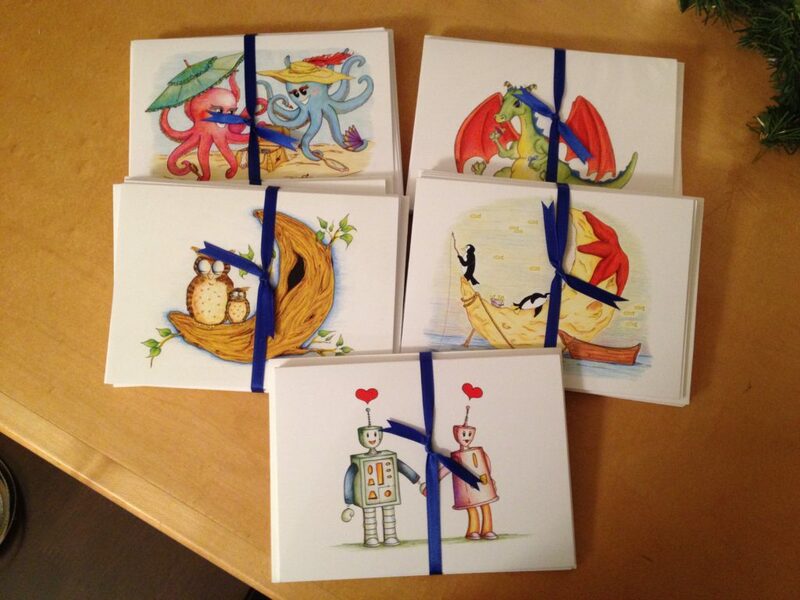 One of the best ways to make it happen is to just buy a nice set of greeting cards to send! 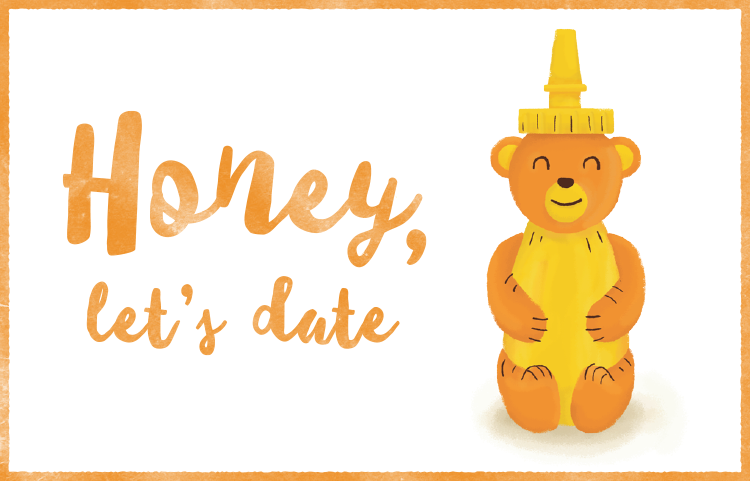 It not only sits there on your desk as a reminder to write up the cards, but also compels you to write something very meaningful and thoughtful, since you actually spent good money on the adorable cards. When I bought a bunch of these gorgeous cards from my friend Dakota Midnyght a few years ago, I started writing down all these thoughtful notes to people with affirmations and encouragement that I had been meaning to say for years. After only thinking kind words for a long time, they finally all got written down and sent out. And it was GREAT! I’ve been meaning to do it again ever since, but again… it’s hard to remember and carve out that time. 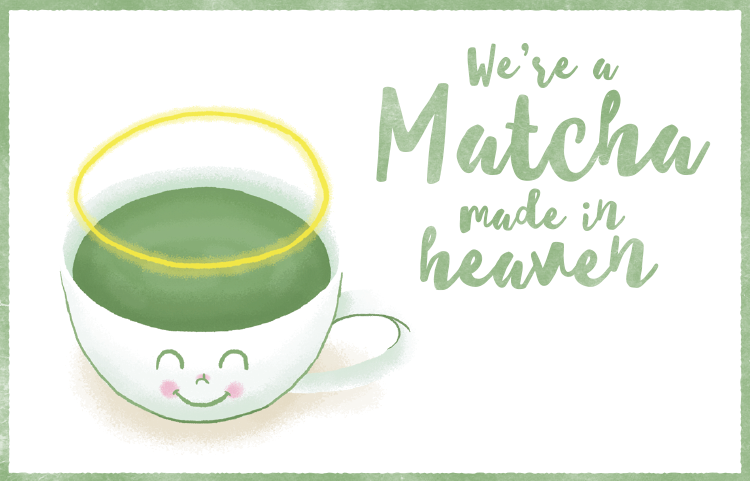 So when Julissa sent me these adorable food pun cards, I felt like we were a matcha made in heaven. HEHE. Ok, ok, that was their line, not mine. My artwork is never that good. But it’s so cute, isn’t it?? Okay, you bought the book, you tried the program, and you did, indeed, Teach Your Child to Read in 100 Easy Lessons. YAY!!!! HIGH FIVE!! WASN’T THAT FUN?! But… that doesn’t mean they’re fluent readers just yet. Now what? How do I help my child build fluency, improve comprehension, and continue to nurture a confidence in and love of reading from here? Okay maybe that was a little over-confident, but I definitely felt more comfortable moving forward with this than I initially did with teaching the basics. Guided reading is a core component of the Reader’s Workshop model that I was trained in and used in my years teaching third and fourth grade. During guided reading, you basically have a running conversation with a child as you read through text together. Usually, the child reads the text out loud and you pause him along the way and coach him through his thinking by posing questions and practicing various reading strategies. Learn more about it here! At the end of Teach Your Child to Read in 100 Easy Lessons, there is a suggested list of books for moving forward. The idea is that you can continue in the style of the last few lessons using these books as the reading text. Cool, I thought, they already found the perfect next-step books. So I logged into my library account to put them on hold. (By the way, did you know that you can go online, put books on hold, and SOMEBODY ELSE FINDS THEM AND PUTS THEM ALL IN A STACK AT THE FRONT OF THE LIBRARY FOR YOU TO PICK UP?! I discovered this a couple years ago and my mind was blown!!! Best. Service. EVER!!). Of course some of the first books listed were not available at the library. Well, surely these must be just-right books since they only listed about twenty books, so… I will just spend the money and buy them on Amazon. And then Amazon only had a few “buy it used” options. What?? If these books were so perfect, then why were so few available? Where was my Prime, 2-day shipping option? I pushed away the voice of doubt and forged ahead. So, for the first time in longer than I remember, I bought it used through Amazon. The last time I remember doing that was in college. And that was a long, long time ago. I even had to pay shipping. These books had better be GREAT. Let’s play. We hide and you seek. Now I want my turn to hide. …WHAT?! I went through ALL THAT TROUBLE and waited SO MANY DAYS (okay, eleven days- please excuse the impatient millennial in me) for THAT?! Three sentences. Or two, if you’re looking for unique sentences. I’m fine with books that focus on pictures, but when the entire point of buying the book is to practice reading, then I’m not so pleased when there are only SEVEN unique words in the entire book. The other book suggestions were slightly more helpful, but not by a lot. One book even has a theme of two kids trying to out-do each other with their beach toy, to the point where one is pulling down the other’s pants and they are both completely not noticing a boy who falls into the water and needs help getting back up. Even worse, the story concludes when they see a girl who has a cooler beach toy that sticks her tongue out at them, and one shouts, “I hate her!” and the boys bond over their shared dislike of this girl. This is really not the kind of stuff I want my daughter to be reading. I have a confession to make. Despite teaching for over eight years, I had actually never taught a kid to read from the very beginning. I would always get a handful of kids, even in fourth grade (and in sixth grade…) who were still hovering around the first grade reading level, but they already knew their ABC’s and the general idea of piecing sounds together. I usually focused more on building fluency and developing comprehension. So when my daughter started asking me to teach her to read, I would smile and assure her that someday, yes, someday, I’d teach her. Let me be clear, I was NOT planning to tiger-mom this, and I was never planning to teach her to read at age three. But I do try to be supportive of her interests, and I do love teaching. So when she kept on asking me to teach her and she seemed ready to learn, it wasn’t in me to say no. But I definitely tried to put it off. 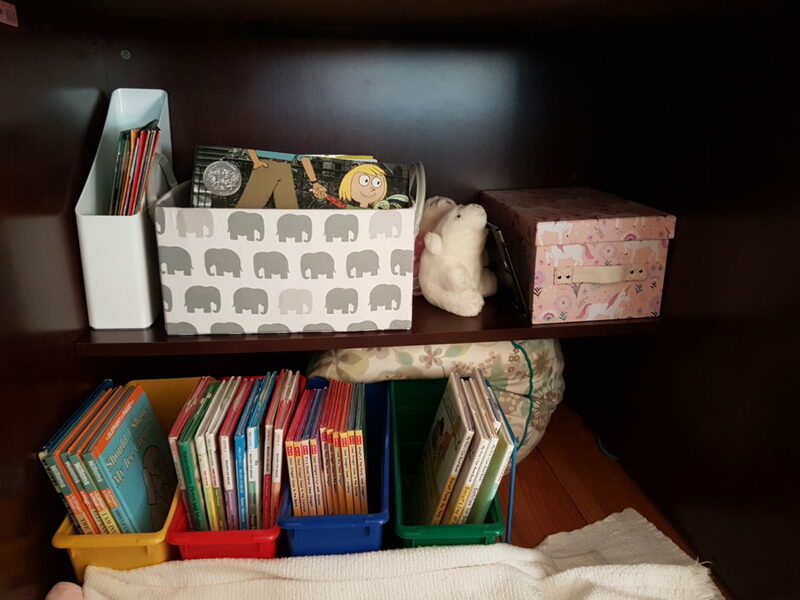 As her love for books grew, her persistence in asking grew, and soon I started wondering when was too soon, and I began the rabbit hole of research that is when and how to teach your child to read. I was hesitant to introduce the alphabet to her, because I had read somewhere that the names of the letters will just confuse a learning child who should first learn the sounds they make. I read up on different philosophies, which left me feeling paralyzed and even less confident about starting anywhere. I asked my teacher friends who taught younger grades, and got a lot of great ideas, but still felt like I needed a program to guide me. I thought about buying a home-school kit or something, which is how I stumbled upon How to Teach Your Child to Read in 100 Easy Lessons. If it weren’t for Amazon and the 2,000+ glowing reviews of this, I wouldn’t have given it a second thought. But it piqued my interest enough for me to read several reviews and I even took a “Look inside!” the book. I saw strangely scripted words and antiquated cartoons. I wasn’t sure about this. A few weeks later, my friend put up a video of his young daughter writing and he mentioned this very book. HMMM. I asked him what he thought, and he also had glowing reviews! Still, there was a lot I was skeptical of. The “100 days” part. The “easy lessons” part. The “just 20 minutes a day” part. The “love, care, and joy only a parent and child can share” part, because if this were so effective, wouldn’t teachers have adopted this into their programs long ago? Well, I thought, I guess for $13, I can just buy it and see what it’s all about. When it arrived, I did the nerdy thing I do and I read the entire Introduction and Parents’ Guide from start to finish. It was no small feat, with its 20 small-fonted textbook sized pages. It didn’t take long for me to get totally absorbed in it, nodding my head and learning new things the way I did in teaching school. I appreciated the introduction. Their methodology was clearly laid out, thorough, and thoughtful. I appreciated the strategies they offered for teaching, including how to keep kids on track, pacing, and the hurdles they predicted would happen (and what to do about it). These guys knew what they were talking about, and it was clear they had a lot of successful experiences with this program. I was sold. I was standing near the shipwreck, angling myself so I could keep one eye on my daughter digging in the gravel pit and one eye on my son as he climbed up and down the mini bridge. Minutes passed, and for the most part, I stayed where I was, willing myself not to interrupt my children’s play and holding back even as I watched a boy treat my daughter unkindly. 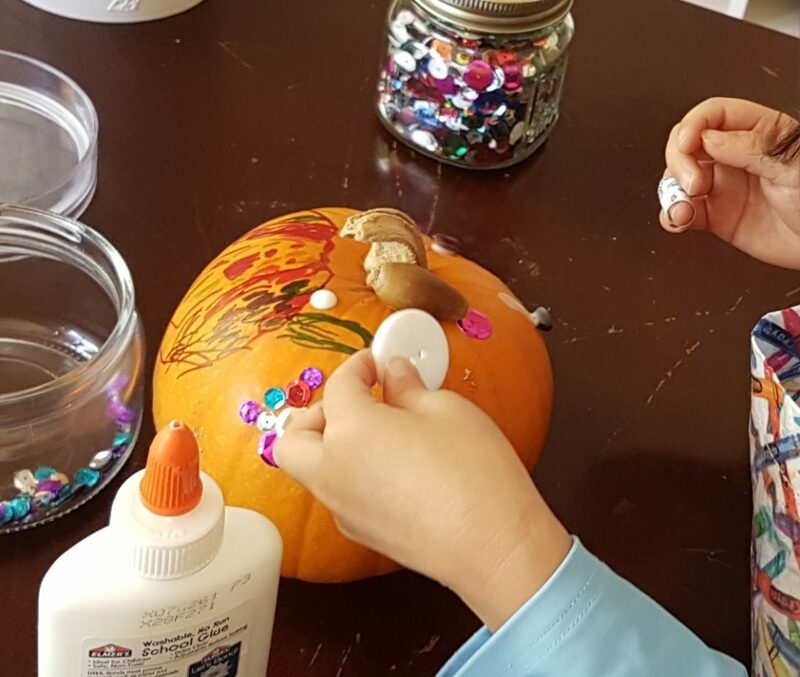 To a stranger, it might have appeared that I was disengaged and not really watching any kids, but really, I had my eye on both while I tried to give them space to be immersed in their play and explore and learn independently. “No, c’mon, we have to see the other exhibits!” the dad insisted. After a moment, his child reluctantly left the water area and trekked after his father. As I stood there, unhurried as my daughter continued to scoop gravel and my son continued to climb up and down, it occurred to me that just a year ago, I had been just like this father.